Earlier this year the Loulaki Blue team graciously accepted me to spend a week with them for my year 10-work experience. Several months later, here I am at my designated Loulaki Blue desk, soaking it all up like a sponge! I was welcomed into the Loulaki Blue office with wide friendly smiles and cheerful dispositions. The warmth of the staff was a good ice-breaker and made me feel more at ease. With a friendly handshake and an open smile, I was ushered into the office by the Loulaki Blue team and seated in a chair. I quickly became acquainted with the open plan office and, (importantly), the kitchen – and then it was time to get stuck into things. Feeling super important, I sat in on the staff’s weekly catch up meeting which are held every Monday and Friday during which the team discuss the progress of office projects. Sure, I got swept up pretty quickly in the daunting world of fancy business talk and graphic design lingo despite having the easiest job in the room – sit – listen – leave, but I was put at ease by the easy going attitudes and communication style of the staff. The soothing music playing softly in the background was a welcomed bonus, adding to the relaxed atmosphere. It was at this point that I briefly escaped into my own head and thought, “these people are totes sic!” And then I quickly reminded myself, “sit – listen – leave”. The team informed me of a breakfast business meeting that Loulaki Blue are set to host this coming Wednesday in the city during which a guest speaker is due to deliver a presentation about effective leadership within a company or organisation. I was assigned to typing out the names of guests attending the event. I know how to type so that seemed like a good introductory task that I could handle. No major spelling errors, no unplanned computer meltdown, so I was pretty happy with how it turned out. Next task; fix up the Christmas cards which Loulaki Blue had designed for their clients. This was my initiation to a design program called “InDesign”. By the end of the week, I’d developed a love/hate relationship with “InDesign”. More on this later. For now, if I were to describe the program in one word it’d be “difficult”. The Christmas card task took me past lunch, (during which I went on a sneaky Macca’s run up the road), and through to four o’clock, which was the end of my first day at Loulaki Blue. I’m pretty happy with my first day. There were no major incidents, I didn’t set off any fire alarms unnecessarily, I didn’t trip over my own feet or fall down any stairs. I managed to accomplish a couple of tasks, be introduced to the world of graphic design and meet some friendly people. All in all, a good day. As I entered the office at 10am, the Loulaki Blue team was already intensely at work, completing outlines and finishing products for their various clients. I wondered about the importance of deadlines and how companies might negotiate more time for certain projects if needed. I didn’t really come up with any answers, it was just a short pensive moment. Loulaki recently revamped their entire website to cater to technological advances and I, along with another staff member, were asked to look over the website for spelling and grammar mistakes and to check that all of the website links worked. This one felt like a little bit more pressure because I know that a company’s image is important. Even I know that it’s not particularly business savvy to have spelling mistakes and grammatical errors pollute a company website so this was important. I felt fairly confident with the task. I didn’t pick up on anything major anyway, the Loulaki team were clearly already on top of their game. A few of the staff stayed until late working hard into the night to complete designs that would please and appease their clients. It’s a lot of pressure catering to the needs of businesses because art of any kind is subjective and what one person thinks is great mightn’t work so well for the guy next to him. Such are the pressures of the adult workforce I guess? Today was the day! The Loulaki Blue Brekkie! I rose early to make it into the city for a 7:30am start. Again, I felt super important coupled with feelings of intimidation as I entered the Westpac building. I was given a bright yellow guest pass that I clipped onto my jacket. It was precisely at this moment that the feeling of intimidation disappeared completely and feeling important dominated – this time with an added feeling of “Mmmm, fancy”. As I whooshed up the lift to the 22nd level, the view was pretty incredible. No time to soak it all in completely though. That super “Mmmm fancy” yellow pass meant that I was here for serious business. Important heads of departments began to trickle in and I made polite, (and most likely a little awkward), small talk. But I got through it and thought that I’d schmoozed fairly well. At 8am the seminar commenced with guest speaker Michael Bunting delivering his presentation. I found myself very interested and entirely engaged during his talk. This was by far miles more interesting than listening during school classes – I was actually engaged, intrigued and far from asleep on my desk. By the end of it, I was actually itching to get my hands on his book. No question that this guy knows his stuff. Michael Bunting is “da man”. We arrived back in the office around 10:40am and I was on to filing all of the present and past company projects into various folders. It really was pretty fascinating to see all of the advertisements that Loulaki Blue had helped created for such a wide range of business. It’s really quite something to see the end results of people “create”. An early mark for me today. 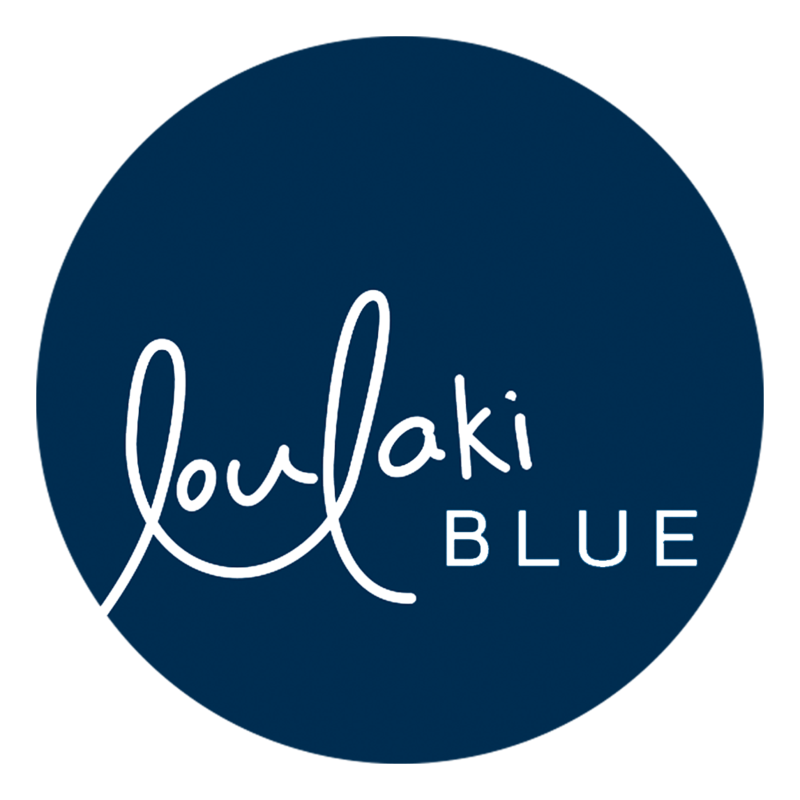 The creator of the revamped Loulaki Blue website came into the office during the morning to explain how to navigate the new website and how to make changes. That was a good education for me. 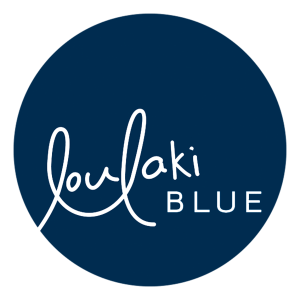 Later that day one team member suggested that I write about my experience at Loulaki Blue and post it to the blog that they’re currently creating on the company website. I immediately jumped at the opportunity, eager to work on something and knew that it’d be a great exercise for me to reflect on my week with the team. Today was the last day of my work experience week and it was a bittersweet feeling. The lifestyle of a “grown up” workplace left me really not wanting to go back to school. I’d bought a couple of goodies for the team to thank them for being so awesome. They really helped calm my nerves this week and make me feel comfortable, which I really appreciate. Sitting down at my designated chair and computer I was tasked with completing a design for the 2014 Christmas cards that Loulaki Blue send out to their clients each year. It’s true that we all learn something new everyday – and today was no exception. Today, I learned that “InDesign” is hard. Like, really hard. It was fiddly and complicated and I’ll admit that the thought of hurling the desktop monitor out the window did cross my mind more than once. I did have a window right next to me, so it was tempting at times, but I persevered and I must say, leaving the computer fixed firmly to the desk was definitely a great decision. I actually think I did a pretty bang up job on the design. And I’m not sure if it’s the design I’m more proud of or the fact that I persevered with the design program. Both I felt were really satisfying. I wondered if the team often felt a sense of creative accomplishment for the various pieces of work they produce. I hope they do. They’re really pretty fantastic at what they produce. Soon, I was trotting off on another Maccas run, (I can always diet later), and I returned to hear Rihanna’s “Disturbia” pumping through the office speakers. A nice touch for a Friday afternoon I thought. My next task – “build a box”. Well, actually, “build a lot of boxes”. You know that warm tingly feeling you get when you fix something that was broken or when you build something that was super complicated? Well, I was buzzing with tingles following my afternoon date with “build it yourself” cardboard boxes. Yep, I felt quite accomplished in the art of box building (and don’t let anyone ever tell you it’s not an art because it totally is), when I finally figured out how to make those little buggers fold into a box. Unfortunately, four o’clock creeped closer and closer and it was time to leave for the last time. The team SO kindly gave me flowers and I dosed them up with some serious sugar in the form of sweet bakery treats. I was given a bunch of friendly waves and warm “thank yous” as I closed the glass door and walked down the echo-y corridor for the last time. Well, until the head of department came rushing after me to make sure that I had a copy of the Christmas card I had designed. That was super kind I thought. It was great to take home something I’d created as a result of learning something new. I was delighted to have the opportunity to spend my year 10 work experience week with Loulaki Blue. It was fantastic to see the behind the scenes effort and creativity that is put into a communications agency.